As the Moon is now growing into Full, we have planted lots of seeds under the glow of our Grandmother, for these seeds sown under her light and gaze always seem to sprout more vigorously and vibrantly. 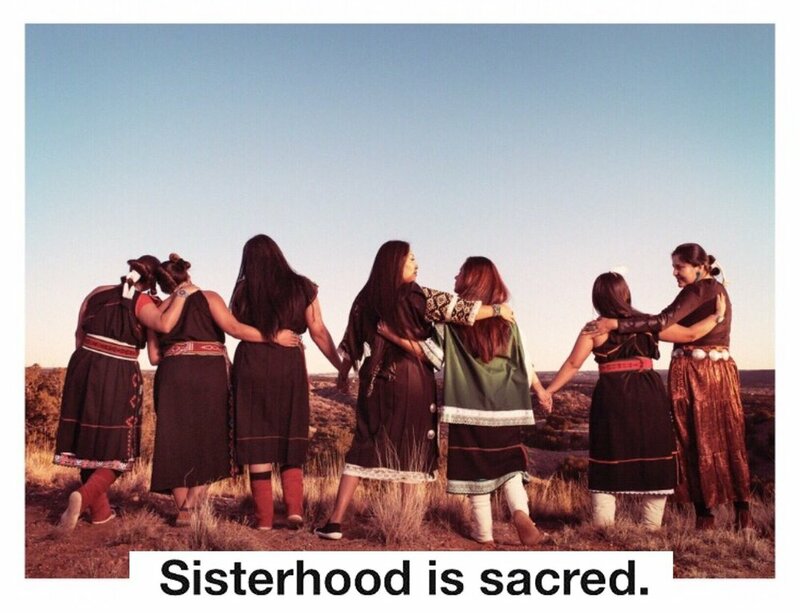 This is something our indigenous elders and ancestors have always known. I love the natural rhythms of working and planting by the lunar cycles; there is a natural inhale and exhale of our farm rhythms and cycles. We are thankful to Grandmother Moon for all the ways in which she moves and guides the cycles of fertility, of death and rebirth. We are thankful for the unnamable essence that moves through all things, that grew you in your mother’s womb, and that gives the seeds the courage to break free from their seed coats and swells the buds and blossoms and seeds in their pods. The luminous light of our Grandmother Moon gives life courage to grow and multiply. I’m thankful for all those who have guided me in my knowledge of the power of our Grandmother Moon as it relates to the phenology of all the divine life cycles here on Earth.As a foundational teaching of indigenous farming and gardening, we start with tuning into the lunar cycles, and begin to set an intention to rehydrate the original rhythms that guide our planting and seed stewardship. 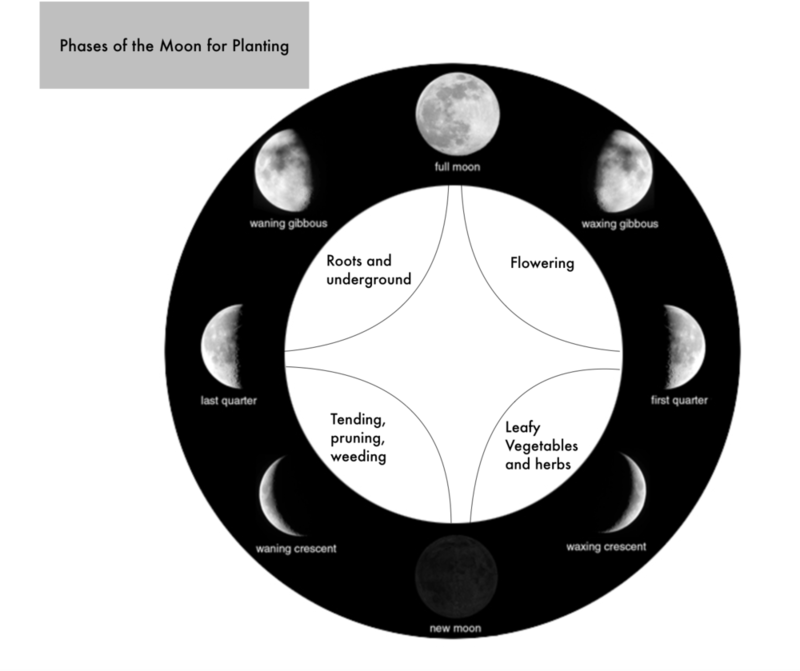 As we move into summer, and begin the planning and planting of our seed gardens, this knowledge of lunar planting in an integral part of our proverbial Seedkeeper basket. Plants sown in the ideal lunar phase show increased vigor, which is something that our ancestors have always known. In nearly every intact indigenous traditional agricultural community, the moon guided planting hands. In my traditional community, the seeds are entrusted to the women, for it has been that way since the dawning of time. Indeed it was Original Woman who came to this earth clutching a handful of seeds, and proceeded to sing the World awake, sowing her seeds into the earth that was on the back of a Great Turtle. It is this same Original Woman who upon her parting from the Earth, returned to the sky in the form of Grandmother Moon, who continues to look over us, and guides the cycles of life, fertility, death and rebirth. Her beautiful luminous changing face pulls at the salty oceans that cover a large percentage of our planet to create waves and tides. It is this same gravitational force that moves the smaller oceans that reside inside our own bodies and also the tiny pools to water that exist within everything that is alive; the tiny oceans that sit at the heart of the seeds, the earth, the sapling trees. So naturally, our Grandmother Moon watches over the cycles of our Plant kin, as they move from tiny little seeds into sprouts and the around the season into bud, blossom, fruit and seed once again. The creation story that began so long ago continues to unfurl and come alive in every moment, as our life sustainers emerge from our Mother Earth and remind us of our Original instructions. Dancing in the direction that the sun goes, First Woman put into place the cycles of continuous creation, continuous birth. As human beings we have been given the original instructions to follow, which maintain the cycles of continuous creation, of this continuous birth put forth by SkyWoman. We invite you to explore all the aspects of lunar planting, and we will share with you some of our reflections of this approach as we move along into the planning and planting of our gardens. Beginning in the spring months of March and April, we are continuously planting seeds of all manner of herbs, flowers and vegetables until late summer. When we begin to overlay our understanding of the basics of lunar planting, we create for ourselves a wonderful framework and timeline for planting that encourages the best growth for our little seedlings. I learned the cycles of lunar planting from a few of my Mohawk elders, especially my dear seed uncle Silverbear (Steve Mccomber) but have deepened my study through direct observation and also reading from different cultural and scientific perspectives. So how exactly does lunar planting work? The Earth is held in a powerful gravitational field, influenced by the moon. The tides are highest during both new and the full moon, as the sun and moon lines up with earth. Just as the moon pulls the tides in the oceans, it also pulls upon the subtle bodies of water that exist in all living things including our bodies, the soil, and the seeds. This gravitational pull from the Moon causes moisture to rise in the earth. These same forces affect the water content of the soil, which creates more moisture in the soil at the time of Full and New Moons..I love imagining this as the tide of the Earth. This increased moisture encourages the seeds to sprout and grow. The highest amount of moisture is in the soil at Full moon and we see that the seeds can absorb more moisture as the moon Waxes towards Full. Paying close attention to the cycles of the moon and the subtle manner in which affects both people and plants can help to determine when to plant in order to improve our health and yield from our garden activities. Admittedly I have an indigenous scientific brain, and I have purposely planted the same seeds under different moons, and observed patterns that support my elders teachings. Lunar planting really does work well on our farm, and we do the best we can in our busy farm rhythms to observe the cycles. This requires a bit more foresight and attention to details, but the increase in vigor in our seedlings and food plants here is well worth it. There are a number of resources that you can look to for guidance in moon planting. I have seen some that are very complex, such as the Biodynamic moon planting calendar called Stella Natura. It is rich with lots of amazing information, but admittedly it can seem very daunting to look at all the nuances of details that the calendar holds. For me, simple rhythms are best, and so I will share with you a distillation of the moon planting guidelines here. Note: the Image I create above, I have the moon cycles moving Counterclockwise, which is the way lunar cycles move. Note the waning cycles on the left and the waxing cycles on the right. Sometimes we are accustomed to following a circle clockwise, so readjust your eyes to moving around the cycle counterclockwise. Just after New Moon, at the bottom of the above picture; the lunar gravity rises and causes the seeds to swell and burst. The increase in moonlight creates balanced root and leaf growth. Between New Moon and First Quarter is the best time to plant leafy vegetables which produce dry seeds in pods or outside of the fruit. Examples are all brassicas like kale, broccoli, cabbage, cauliflower, and grain crops. Also Lettuces, tobacco, spinach and many other leafy herbs. From First Quarter to Full moon, the gravitational pull is decreasing but the moonlight grows stronger each night, creating strong leaf growth. The time just before the Full moon is an especially great time to plant. This is generally when I plant my corn, just 3-4 days before Full Moon. The types of crops that prefer this window between First Quarter and Full Moon are annuals that produce above ground, but their seeds gestate inside the fruit, such as beans, corn, melons, peas, peppers, squash, and tomatoes. After the Full Moon, the energy draws down as the moon wanes. The gravitation pull is high, creating more moisture in the soil, but the moonlight is decreasing, putting energy into the roots. This is a favorable time for planting root crops, including beets, carrots, onions, potatoes, and peanuts. It is also good for perennials, biennials, bulbs and transplanting because of the active root growth. This is also a wonderful time for pruning. In the fourth quarter towards the new moon, there is decreased gravitational pull and moonlight, and it is considered a resting period. This is a great time to cultivate, harvest, transplant and prune. These basic principles of how the moon guides our planting has served our family well in our farm rhythms. There are many layers to the science of lunar planting, and there are many books and philosophies that continue to break this down into more detailed guidelines of planting based on astrological occurrences and cycles. Within Biodynamic agriculture, they use a unique and informative calendar called Stella Natura. Biodynamic methods are based on the heliocentric astronomical position of the moon. This system is more complicated and takes into consideration all the subtler aspects of the different astrological impacts on the moon. You can track the cycles of the moon as they relate to our planting and tending our gardens, as well as cutting our hair for healthier hair growth etc. Also how they moon phases interface with our lives in general. I also encourage you to moon gaze often to tune into the natural rhythms and see her beautiful luminous face each night! Being under her luminous gaze is healing medicine! Perhaps you have heard the phrase or read the wonderful children’s book called “Thirteen Moons on Turtle’s Back” ? Using this drawing below, you can outline all the moons in one place to gain understanding of the natural cycles and also the cultural ecological contexts of knowing the cycles of a particular place. The turtle’s back is a significant symbol used in our Haudenosaunee/Iroquoian media. It represents the creation of Turtle Island also known as the continent of North America, on turtle’s back or more accurately the “Earth Grasper”, from our Creation Story. A closer look will reveal a pattern of thirteen individual segments on his back which represent each moon of the Haudenosaunee cycle of seasons. These segments are named according to seasonal practices and natural environmental occurrences e.g. Green Corn, Harvest etc. Further to this, there are twenty-eight platelets which form an edging around the shell. This is the number of days in the moon cycle. This “calendar” can be used to guide curriculum development across all subjects in education; and is a good organizational management tool as well. Our traditional ecological knowledge and traditions do have application in contemporary times, and we breathe new life into these understandings and teachings as we integrate and create relevance for them in our daily life. and yet life goes into death a seed awaiting rebirth. became known as the Great Good. to drift away upon a breeze." excerpt from "White Corn Sister" by Peter Blue Cloud. I have done a full reading of this epic poem, which you can listen to here. This ceremonial cycle is also representative of the life cycle in one day as well. The winter is the dark of night, when the seeds lay dormant. The springtime is the breaking of dawn, when the seeds begin to sprout. The Summer is the midday sun, when the fragrant blossoms begin to open, and the fall is the sunset twilight, when we begin to gather in the days work. We begin to see the cycles within the cycles, and we begin to see the metaphorical stories that come alive in each day and season. We begin to see references to all these cycles in our folklore and children's stories, in our creation cosmologies and our songs. We begin to view the multi-dimensional aspects of time through this lens of the lifecycle, and we ignite our deep creative capacity to witness and enjoy this life more fully and completely. If you are interested in learning more, come join our Seed Seva Seasonal Mentorship.